Sarah is an interdisciplinary researcher who draws on psychology, sociology, cultural and media studies to understand the person in context. Her work covers a range of identity issues related to gender, embodiment, health, youth culture and citizenship. 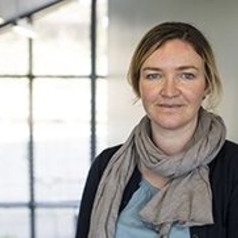 She uses qualitative methods including discourse analysis, visual and participatory methods and has been funded by the EU, ESRC, British Academy and charities. Her current work focuses on how people are making sense of themselves within the context of neoliberalism and postfeminism. She leads Aberystwyth University Department of Psychology's Centre for Critical Psychology. Her books include Postfeminism and Health (Routledge, 2018) and Technologies of Sexiness (Oxford University Press USA, 2014).